*CREATE GREAT LOOKING LABELS - Use the wide variety of tools to add text, graphics, shapes, barcodes, shadows, arc text and other effects to your design. Vary the color and style of any object for an endless array of possibilities. *SUPPORT FOR VIRTUALLY ALL STOCK (US AND METRIC) - Select an existing layout or add your own for any stock you want to print. Use standard stock or define your own. *LINK DESIGNS TO VIRTUALLY ANY DATABASE - Link to the built in Personal Database or any comma-delimited text or CSV file or use ADO and ODBC to link to external databases. Use the Field Wizard to create multi-line complex fields such as complete addresses and full names. Use the built-in database filtering to select and print only records that meet selected criteria. 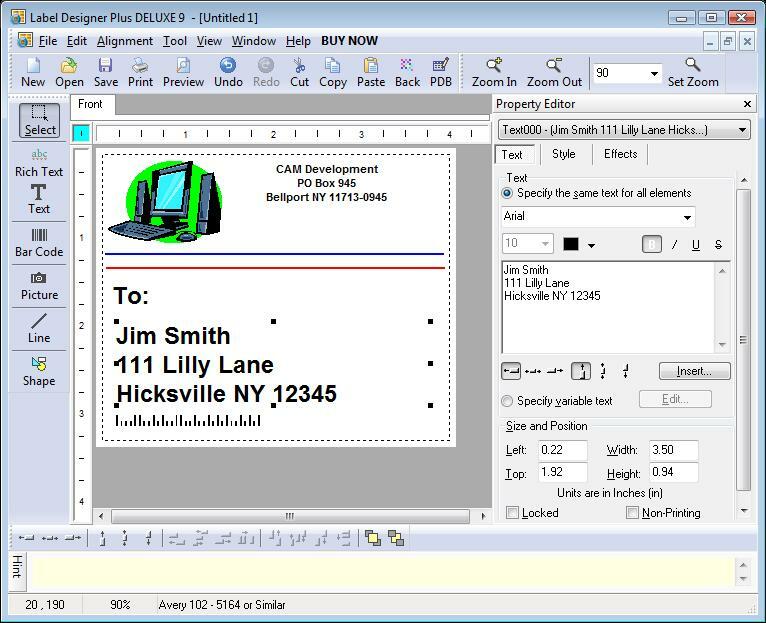 Qweas is providing links to Label Designer Plus DELUXE 10.2.0.0 as a courtesy, and makes no representations regarding Label Designer Plus DELUXE or any other applications or any information related thereto. Any questions, complaints or claims regarding this application Label Designer Plus DELUXE 10.2.0.0 must be directed to the appropriate software vendor. You may click the publisher link of Label Designer Plus DELUXE on the top of this page to get more details about the vendor.